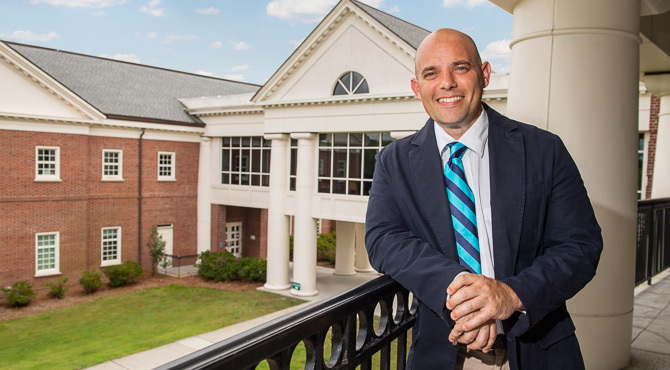 Shawn Bingham, UNCW’s new associate dean of undergraduate studies and director of Honors College, is used to working places that have a real “family feel.” In his previous role at the University of South Florida, Bingham and his whole family lived directly on campus for five years. He is getting a strong, family-friendly vibe at UNCW as well. Bingham holds a Ph.D. in sociology from American University, an M.Ed. in special education from the University of Maryland at College Park and a bachelor’s degree in social sciences from Flagler College in St. Augustine, FL.